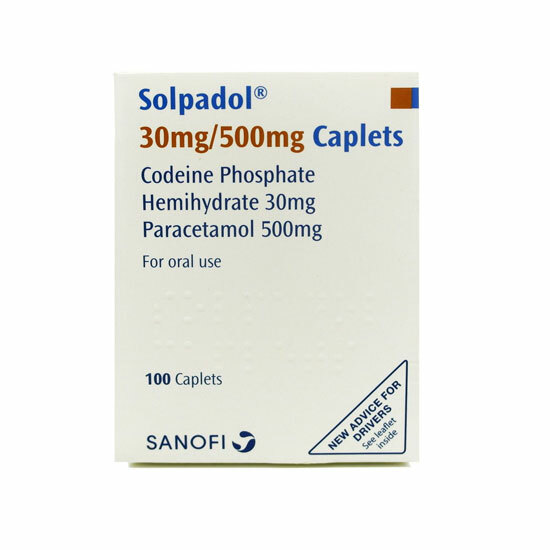 Solpadol is a medicine containing the two active ingredients codeine and paracetamol. It is used to relieve severe pain in adults. These caplets contain 30mg of codeine, and 500mg of paracetamol. What is Solpadol and what does it do? Solpadol relieves pain through two active ingredients. Paracetamol relieves pain and provides an antipyretic effect, meaning that it helps to lower raised temperatures and fever. Codeine relieves pain by binding to opioid receptors in the brain. This affects how the brain interprets pain and reduces the overall feeling of pain. Solpadol is primarily prescribed when over the counter painkillers have provided little or no relief. It may be prescribed to relieve pain and fever caused by headaches, migraine, back pain, period pain or other pain as advised by your GP or doctor. Please note, prolonged use of Solpadol caplets may lead to tolerance and dependence. It is important that you consult your own doctor before stopping your treatment or before adjusting the dose. Are Solpadol Caplets suitable for my condition? If you are unsure whether Solpadol caplets are suitable for you, always consult your doctor before use. Do not drink alcohol while taking Solpadol. Alcohol may affect how this medicine works, and may increase the risk of getting harmful side effects. You must consult your GP before taking Solpadol if you drink alcohol daily or suffer from alcoholism. What is the recommended dosage of Solpadol? You must follow the doctor’s instructions on how to take this medicine. The doses outlined below is for your reference only. Swallow the caplets whole with a glass of water. Never exceed the stated dose. Do not combine Solpadol caplets with any other medicine containing paracetamol. Take 2 caplets every four to six hours. Do not exceed 8 caplets in any 24 hour period. Does Solpadol cause any side effects? Yes, just like all medicines Solpadol may cause side effects in some users. It is important that you read through the patient information leaflet before use so that you are familiar with the sort of side effects this medicine may cause. Please note, prolonged use of Solpadol may lead to addiction. Ask your local pharmacist or GP for more information on Solpadol and addiction. You are also advised by the doctor to not drink alcohol while taking Solpadol. How do I buy Solpadol online? 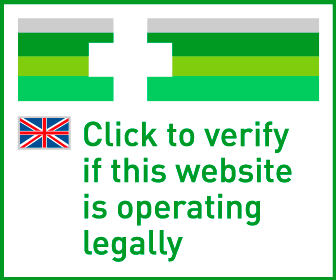 The only legal and safe way to buy Solpadol caplets online in the UK is by using a registered and regulated service, such as Doctor-4-U. Our service allows you to request a private prescription from our registered doctors by filling in an online medical questionnaire. Your medicine is sent by tracked delivery using discreet, plain packaging to your chosen address. Your medicine is usually dispatched within 24 hours after ordering. Take ONE up to FOUR times daily. Please DO NOT exceed SIX tablets in 24 hours. DO NOT take with any other opioid or paracetamol medicine. CAUTION: Can lead to ADDICTION if misused.